Not, Just Another Day! :) – Go Blondie! So, this morning I went to work, which I wasn’t too excited about but then I thought, I would just be sitting at home. I might as well go and get some work done. I was very productive and the day went pretty fast! 🙂 On my way home I had multiple phone calls that I couldn’t keep up! 🙂 Thanks y’all! I ran into the house opened a card, changed and then we were out the door. 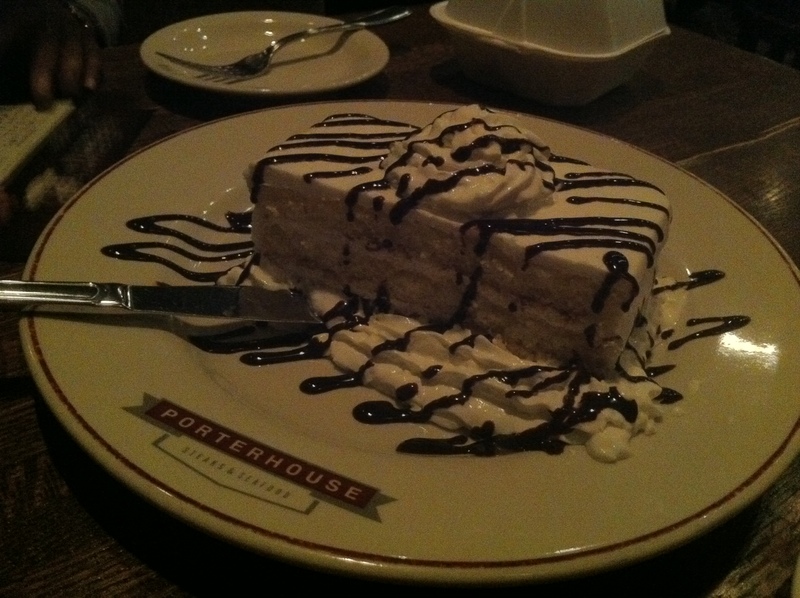 Carl had taken me to a restaurant called Porterhouse. DELICIOUS! It is a steak and seafood place. Carl knows how much I love seafood and thought this place would be perfect. (He does not like seafood at all. He will eat shrimp but has to be cooked the right way) First things first, we had to order our wine. It is fall/winter time so red wine is on our palate. Carl got a William Hill Cabernet Sauvignon and I got a Sebastiani Merlot. Very good and went great with a big steak. Carl had a 18 oz Ribeye with a blue cheese crumble sauce on the top with blue cheese/bacon mashed potatoes. I had gotten the Petite Filet Mignon with a King Crab Leg and mashed potatoes. Yummy, can’t even explain how wonderful it was. (When I was younger I used to eat crab legs all the time with my Pa and we would compete on who could get the longest piece of meat out of the shell) Well, last night I think I won! 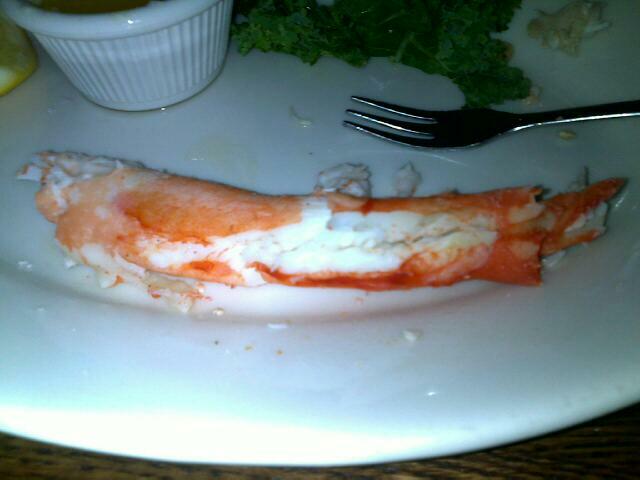 It was huge that it could have been a whole another crab leg. It was so good. 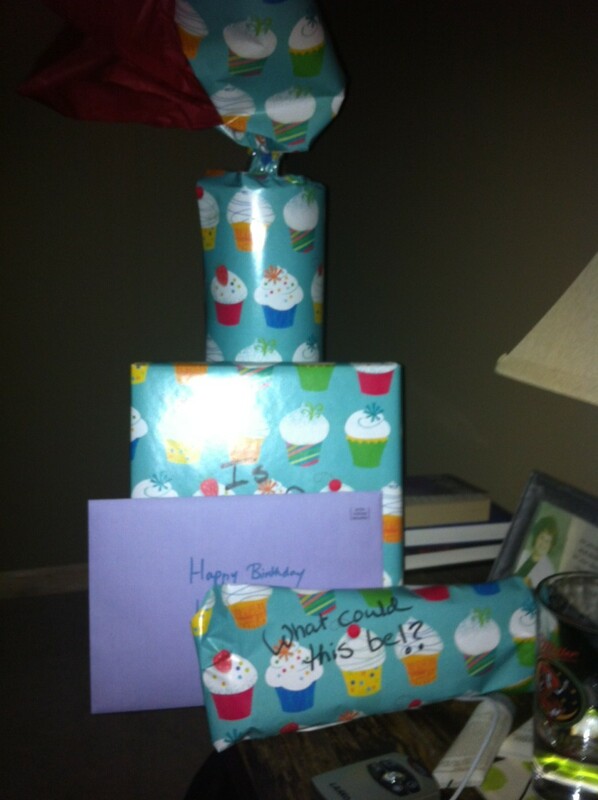 Then we got home and I opened my presents. 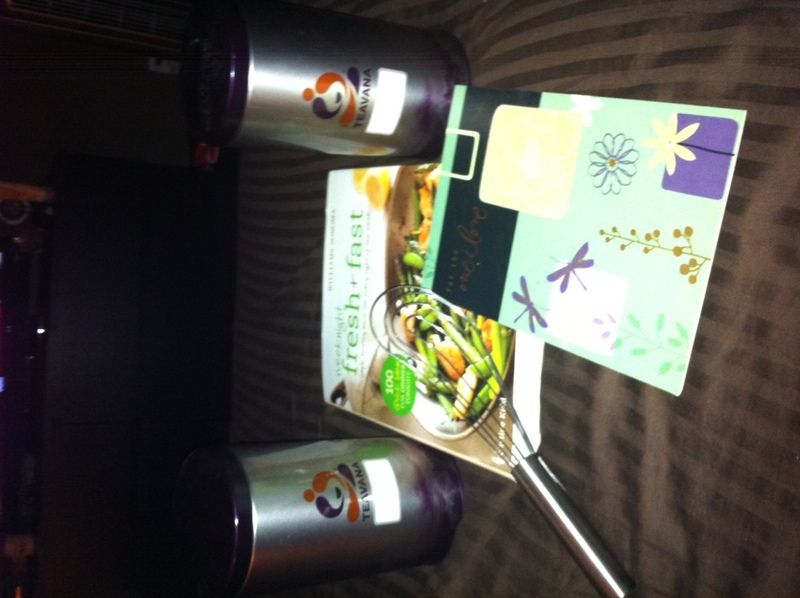 I got the flat whisk I asked for and a cookbook. Then I got two big tins full of loose leaf tea. A relaxation blend, a lavender blend and a fruit blend. It is the tea from Tevana. Great presents. You forgot about our cards or maybe they weren’t that cool?? 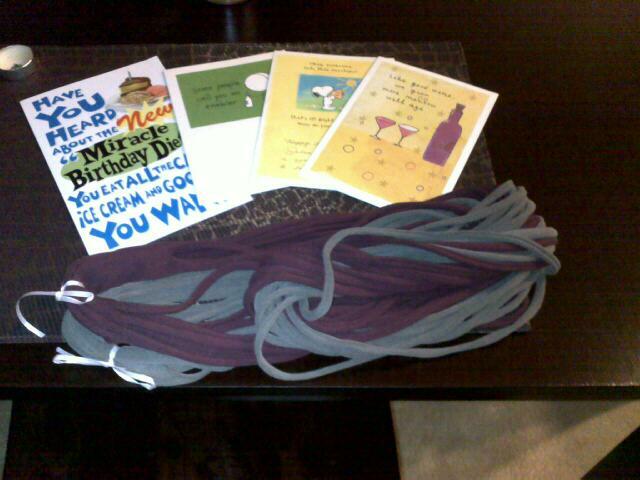 I have a picture of the cards and did mention them!